Point Torment is located in the Kimberley’s massive King Sound some 1800km from Perth. It occupies the northernmost tip of the Torment Spit, around 32km north of Derby. It was named by Lieutenant John Lort Stokes of the HMS Beagle in1838, in response to the misery suffered by the ship’s crew due to the hordes of sandflies and mosquitos they encountered. Point Torment is home to the Warrwa people, many of whom now live in the township of Derby and visit the area to fish, hunt and conduct ceremonies.The Kimberley Land Council is negotiating a native title claim, Mawadjala Gadjidgar, on their behalf. 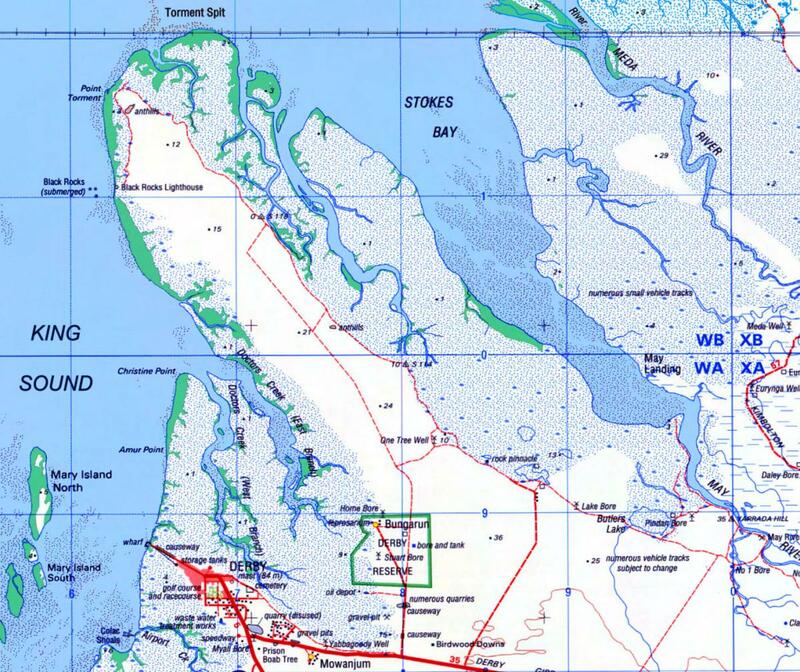 The claim area includes the Bungarun Reserve and sea country stretching into King Sound. Despite being a designated part of the Meda Pastoral Lease for many years, Point Torment has not been heavily grazed by cattle, there are relatively few weeds and the country is in good condition. Robin Chapple:“On a trip to find out more about the area in 2010, I was amazed to see a savannah plain littered with massive boab trees. Each one supported nests belonging to several species of hawks, kites and eagles, indicating a very healthy environment indeed. “On the grassy plains scores of wallabies bounded to their night-time resting spot and all around were tiny finches, honey-eaters, galahs and ground-dwelling pigeons, feeding on the plentiful grass seeds, insects and fruits. Point Torment has been firmly in the sights of developers since 2005 when the Regional Minerals Program of the Department of Minerals and Petroleum (DMP) released its ‘Developing the West Kimberley’s Resources’ report. This document identified the infrastructure required to develop a bauxite mine at Mitchell Plateau and an alumina refinery and industrial port at Point Torment. Links were clearly established between using the natural gas resources of the Browse Basin to power the proposed alumina refinery and heavy industrial area to be based at Point Torment. In 2006 the State started investigating the development of a marine and industrial support facility in the West Kimberley. Point Torment, it concluded, was the best location for such a facility. By 2009 the Department of State Development (DSD) turned proponent and was actively promoting the development of Point Torment to Infrastructure Australia, the Australian Government’s advisory body on the nation’s infrastructure needs. Later the same year Rey Resources announced it would commence pre-feasibility studies for mining its brown coal reserves in the Fitzroy River floodplain, adding they could use Point Torment as a port terminal if one was established within the timeframe. Further, DSD announced that the middle and northern half of the Point Torment peninsula had now been allocated for the ‘orderly development of the Point Torment Industrial Area’. WA Premier Colin Barnett has made no secrets of his vision for Point Torment as a deepwater port and industrial hub, thereby facilitating the industrialization of the Kimberley. Activities would include building a supply base for the region’s burgeoning oil and gas industry and mining sector. It would also provide a remote port from which to export uranium from the nearby Myroodah and Oobagooma (Memorandum of Understanding between the Commonwealth of Australia & State of WA for mineral exploration activities by Paladin Energy) deposits, held by Rey Resources and Paladin respectively. However, as Premier Barnett has also said, the ‘challenging tidal conditions’ in King Sound make the big ships intended to use the proposed facility a major chemical and biological threat to the ecological systems both here and in the Fitzroy River, which flows into the Sound a little to the west. This would threaten the breeding cycles of the critically endangered Freshwater Sawfish, Speartooth Shark, Northern River Shark, Snubfin Dolphins and Barramundi, not to mention the globally significant mangroves lining the shores of the Sound, as well as the turtles nesting on the Point. 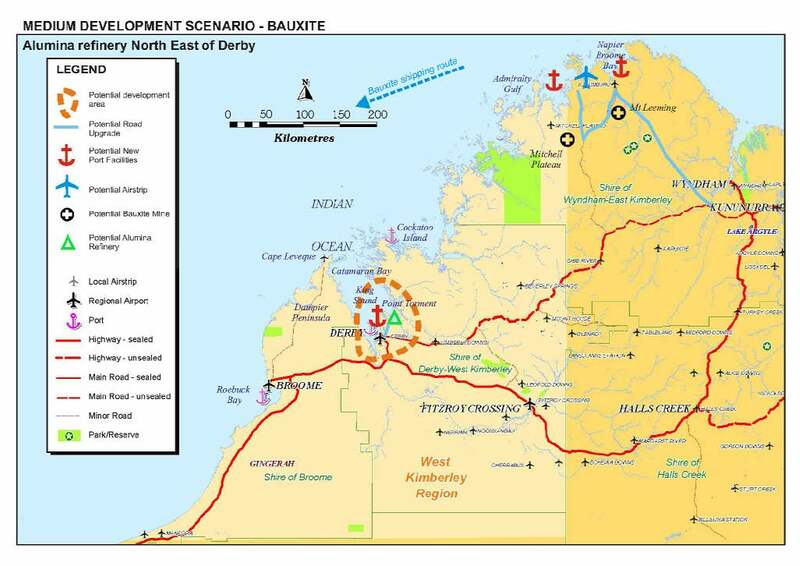 Gas, LNG Development Scenarios: from Regional Minerals Program, Developing the West Kimberley’s Resources, August 2005. This development proposal has been taking shape for many years. Meanwhile, little work has been done to understand the natural and cultural values of the area. Instead, the State Government has continued to undermine Indigenous rights to determine what happens on their land and sea and the public’s right to have their natural assets protected. Unfortunately, Torment spit, including Point Torment, was not included in the West Kimberley National Heritage listed area that was proclaimed by the Federal Minister for the Environment Hon Tony Burke MP in August 2011. Robin only hopes our state environmental regulators will take a much closer look at what is at stake if concrete proposals for the industrial hub and port development are put on the table at any stage. To develop this rich and unique area would, in his opinion, be a travesty and Robin will do everything in his power to promote the wonderful values of this little garden of eden and prevent its destruction.